In the northwestern Nigerian state of Zamfara, the abundance of minerals such as gold, copper, iron ore and manganese has brought many people joy. State authorities hired a Chinese company to mine gold, and local villagers, who are largely subsistence farmers and artisanal miners, also started digging for the precious metal themselves, even though this was illegal. But the refining of gold ore has also brought the people a great deal of misfortune over the years. In 2009, signs began to emerge that children were dying from exposure to lead. Contaminated soil found its way into water sources, and the young boys and girls who were unaware of the danger played in the water near mining sites and ingested contaminated objects. Villagers started having convulsions, hallucinations, abdominal pains with vomiting, nausea, and in some cases paralysis and brain damage. A full-blown lead poisoning crisis erupted. Over the following three years, some 460 children had died from lead poisoning. A further 4,000 were contaminated. The central government initially downplayed the outbreak and, even when it eventually did accept that there was a huge crisis, the $4 million it pledged in May 2012 to clean up the lead contamination was not forthcoming. Although some affected villages had received emergency treatment and remediation, Bagega village, home to 8,000 residents, was left out because funds promised were yet to be released. Some 1,500 children there needed urgent medical treatment. Angered by the government’s slow response, Nigerian activists Hamzat Lawal and Oludotun Babayemi started the “Follow the Money” campaign. Working alongside journalists, legal and information experts, and other activists, the campaign made use of the hashtag #SaveBagega to pressure the government, particularly former President Goodluck Jonathan, to release the funds. In late January 2013, the government finally released the money to remediate Bagega. The “Follow the Money” campaign decided to up the ante to track the funds and ensure that they get to the community. “Our goal was to know where funds are coming from, where they are going, and most importantly how judiciously these funds are being used,” 31-year-old co-founder Lawal says. Corruption has stalled progress for several decades in Nigeria. Although the West African nation is Africa’s largest oil producer, this does not translate into greater prosperity for its people. Nigerians living in poverty continue to rise. In May this year, the country overtook India to become the country with the most extreme poor people in the world in early 2018. According to a Brookings Institution report, Nigeria had some 87 million people living in extreme poverty, compared to India’s 73 million people. Corruption, particularly in procurement, has denied citizens of basic amenities like road, stable electricity, water, housing, good schools and healthcare facilities. The Independent Corrupt Practices and Other Related Offences Commission, a Nigerian agency fighting corruption, reported that 60 per cent of corruption cases in the country happen in procurement. A United Nations report shows that roughly $4.6 billion is spent on bribes in Nigeria each year. Even though President Muhammadu Buhari came to power in 2015 with the promise to fight corruption, not much progress has been made. According to Transparency International’s corruption perceptions index for 2017, Nigeria ranks 148 out of 180 countries, making it the 32 most corrupt country in the world. For civil society groups back home, a plausible solution has to encompass any programme or initiative that does not only promote transparency but also encourages citizens to be actively involved in holding government accountable. In the last four years, a number of organisations proposed solutions to end corruption, including Tracka, Budeshi, Udeme, Buharimeter, and Value for Money. In 2014, BudgIT, a civil society organisation based in Lagos, started the Tracka initiative — a web-based platform that encourages citizens to track public projects in their communities. Tracka has tracking officers in 22 out of Nigeria’s 36 states. The officers visit locals to inform them about projects meant for their communities and help them engage with public officials and government ministries to either begin or complete projects. Tracking officers also upload photos of abandoned or yet-to-be-started projects on social media, and badger public officials to provide further details or complete them. Besides Tracka, there is Budeshi, another web-based tool launched in late 2015 by the Public and Private Development Centre (PPDC), which aims to promote citizen participation in governance. On Budeshi, people can search for government spending on goods and services by searching for projects allocated to a state, or the project title, or procuring entity – usually government ministries and agencies or even pick from a list of contractors to see what projects they got funding for. Budeshi has data on 6,571 contracts in Nigeria from more than 100 public institutions. The platform has grown beyond Nigeria to expand to Uganda. The PPDC is currently working to start similar platforms in Kenya and Malawi. 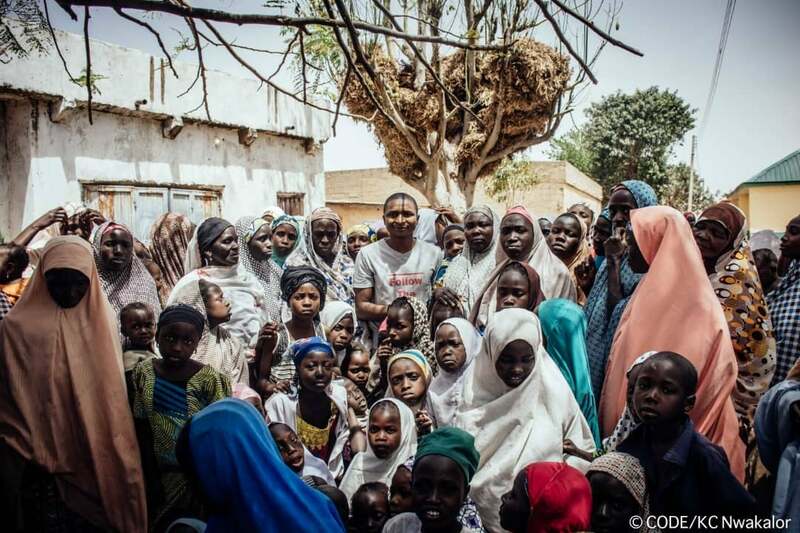 For Lawal of “Follow the Money”, what started as a movement to galvanise public support for the remediation of Bagega village has morphed into a non-profit known as Connected Development (CODE). “Follow the Money” still exists but as the flagship initiative of CODE, which monitors public procurement and travels to remote villages to teach people about procurement and why they need to get involved in fighting graft. CODE has community reporters in all 36 states and as it did with Bagega, all of its campaigns are driven by hashtags on social media. “For us evidence is power and whatever we put out on social media for people to use and hold the government to account has to be verifiable evidence that is why we always have to travel to communities,” Lawal, now the CEO of CODE, said. So far, the “Follow the Money” movement has expanded to Kenya and The Gambia this year with over 2,000 members. From the Paradigm Leadership Support Initiative, which was started in 2016 to help citizens track and report development projects in their communities, to Udeme, an initiative of the Premium Times Centre for Investigative Journalism which launched this year, the fight to end corruption and create a more open government is gaining steam among civil society groups in Nigeria. These initiatives have successfully pushed government officials as well as public ministries and agencies to complete the construction of schools, boreholes, dams, roads, health facilities. And public officials are becoming aware of the power of social media in promoting accountability. Nigeria’s senate president Senator Bukola Saraki tweeted to show that social media is a valuable tool in terms of advocacy and pushing the government to act. But the war on corruption is yet to be won. The budget is not as simple as it should be and this is where corruption starts. Sometimes these organizations struggle to find certain projects because specific details like locations were either omitted or deliberately altered to obscure any investigations. Staff working with these non-profits continue to face intimidation from security officials. “We’ve been harassed, attacked, intimidated and threatened,” said Lawal. Again, though Nigeria has a Freedom of Information Act mandating government ministries and departments and agencies to provide information on their activities upon request, some requests for information on government projects are ignored by some public institutions. “A lot of work and advocacy has gone into improving contracting transparency in Nigeria and this can largely be credited to the work of civil societies and the media,” Nkem Ilo, head of PPDC, said. Sanjay Pradhan, CEO of the Open Government Partnership, stressed this same message when he spoke at the opening plenary at the 18th International Anti-Corruption Conference (IACC) held in Copenhagen in October. Most of the people behind initiatives aimed at making government spending more transparent are young Nigerians. In one of the workshops held at the18th IACC, the focus was on the role of young people in the fight against corruption. Four of the speakers emphasised the need to involve youth in dismantling corrupt practices, given that they are not only more open to change but also have access to modern tools. “It will be difficult to work with the [old] generation; if we really want to build a better world we have to work with the youth,” Emmanuel Ande Ivorgba, leader of the Nigerian NGO New Era Educational and Charitable Support Foundation, said. Looking ahead, Uadamen Ilevbaoje of Tracka argues that despite the progress recorded by all of them, getting more citizens on board matters. Nkem Ilo, head of PPDC, agrees.